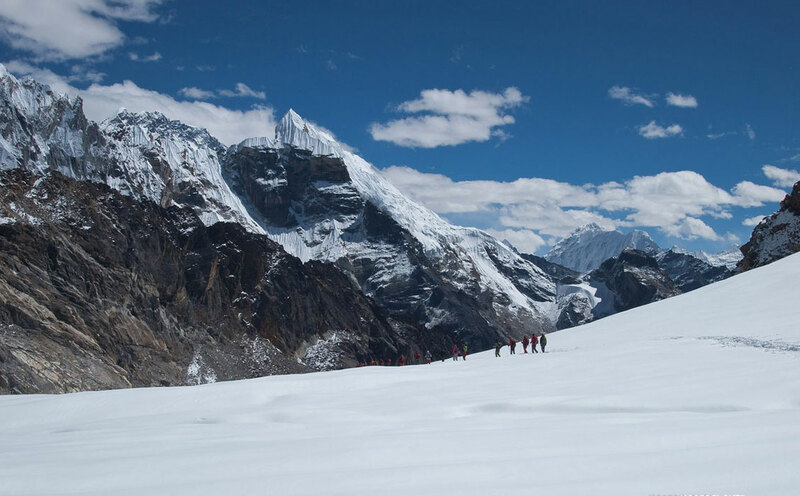 Everest Chola pass trek is one of the challenging high pass trekking routes in Everest region which is suggested only for experienced trekkers who are interested on real adventure and physical challenge. 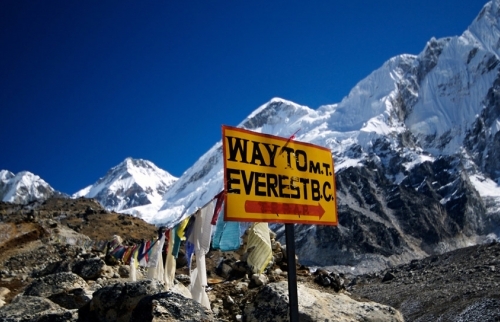 This combined trip to Everest base camp and Gokyo valley offers you the magnificent view of Himalayan panorama from all three highlights (Kalapatthar, Chola pass and Gokyo Ri). 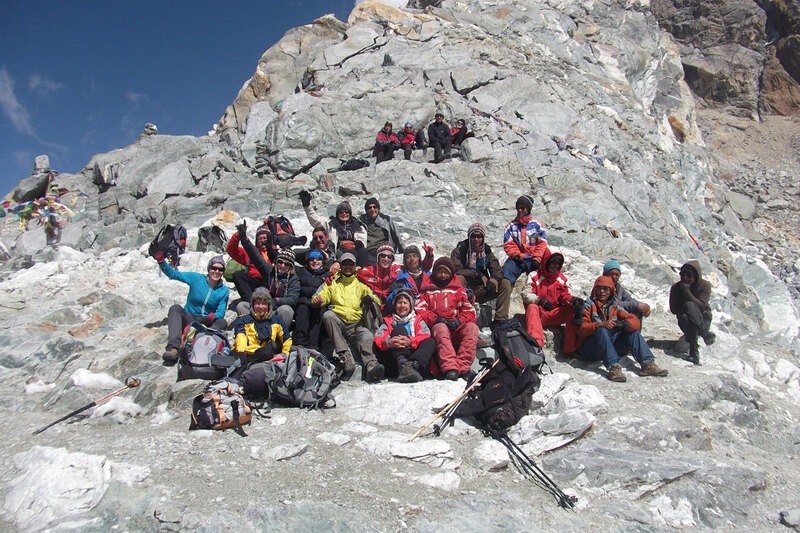 Longer and tougher hiking on remote route via Cho La pass make you to experience the real Adventure in Nepal. 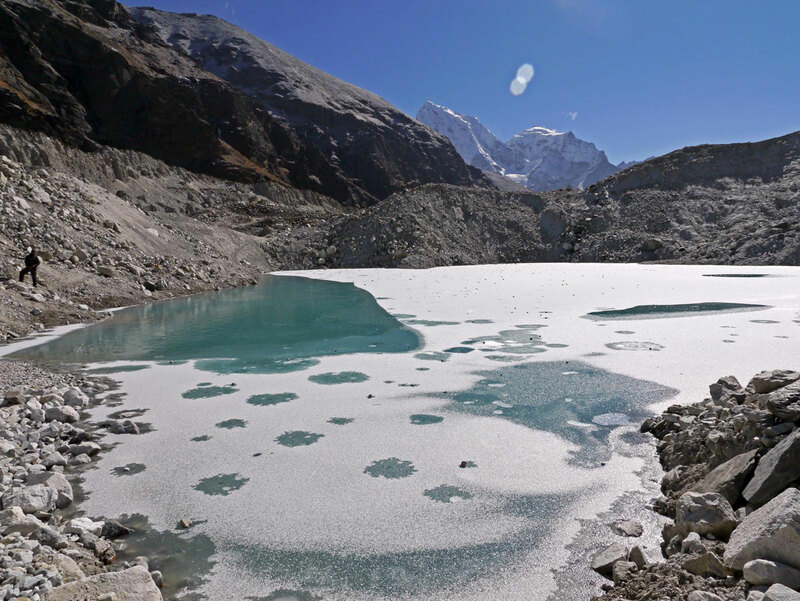 This trekking route follows the Dudh Koshi River to its origin the Gokyo Lake passing by the villages like Lukla, Namche and Khumjung which offers a fantastic panoramic view of Cho Oyo, Everest and Makalu from the summit of Gokyo Peak (5,483m). 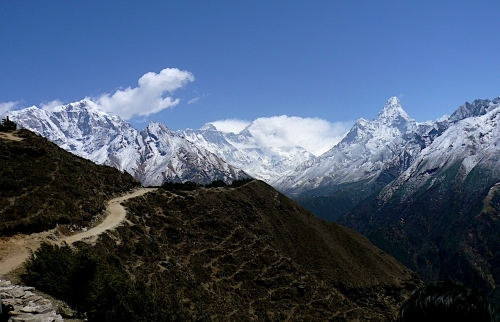 As we cross the Chola Pass the trail leads you towards the Everest Base Camp and Kalapatthar via Lobuche and Gorakshep. Exciting Scenic flight to Lukla airport. 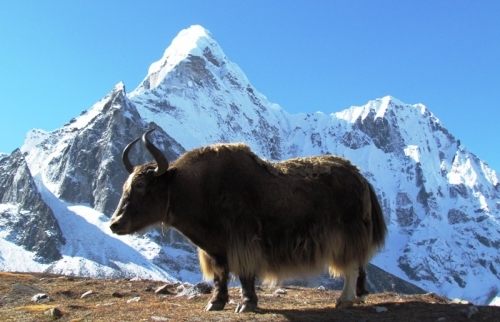 Explore the Khumbu Valley and Experience the Sherpa culture and lifestyle. Magnificent view from Gokyo Ri, Chola Pass and Kalapatthar. The impressive Khumbu icefall, Gokyo Lake and Ngozumpa Glacier. View of Cho Oyu, Mt. Everest, Lhotse and Makalu. High pass adventure, trekking to the Cho-La pass over 5360 meters. Day 01 :Arrive at Kathmandu (1380m). Day 02 : Rest and preparation day Kathmandu. 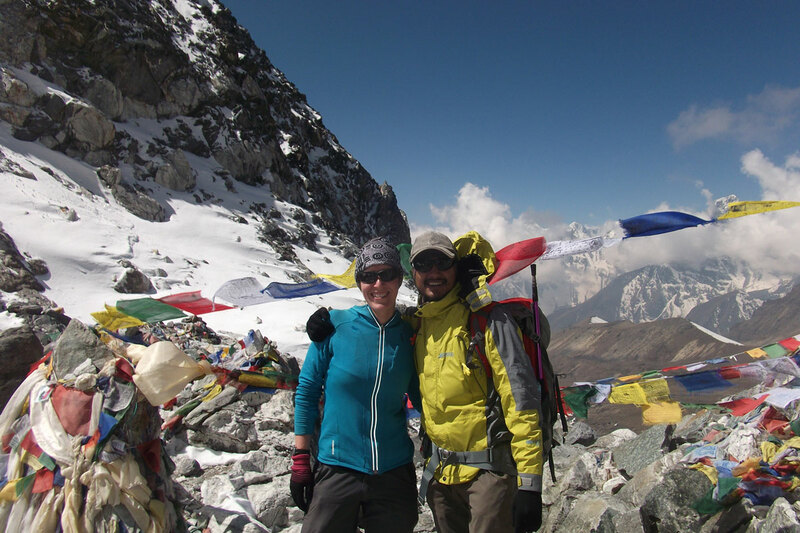 Day 03 :Fly to Lukla (2804m) and trek to Phakding (2610m). Day 04 :Trek 6 hours to Namche Bazaar (3440m). Day 05 :Acclimatization day at Namche. Day 06 :Trek 5 hours to Dole (4130m). Day 07 :Trek 4 hours to Machhermo (4470m). 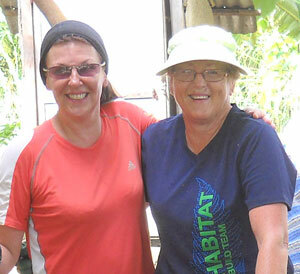 Day 08 :Acclimatization at Machhermo. 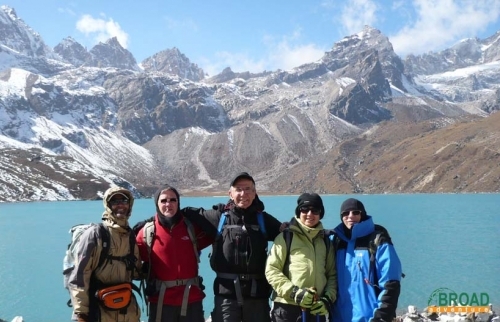 Day 09 : Trek 5 hours to Gokyo (4770m). Day 10 :Hike up to Gokyo ri (5383m) and trek Thangnak (4700m). Day 11 :Trek to Dzongla (4830m) via Chola Pass (5360m). Day 12 :Trek 5 hours to Lobuche (4910m). Day 13 :Trek to Everest Base Camp (5363m) and back to Gorakshep (5180m). Day 14 :Hike up to Kalapatthar (5555m) and trek down to Pheriche (4240m). Day 15 :Trek down to Namche Bazaar. Day 16 :Trek 7 hours to Lukla. Day 18 :A full day Sightseeing around Kathmandu. Day 19 :Trip Ends; the final Departure. Hotels in Kathmandu on BB plan.